Comments: ALTERNATE EDITION: NEW > PLEASE READ >> NEW softcover marked INSTRUCTOR'S REVIEW COPY - NOT FOR SALE. 14th Edition. Same content as student text. DAILY SHIPPING! 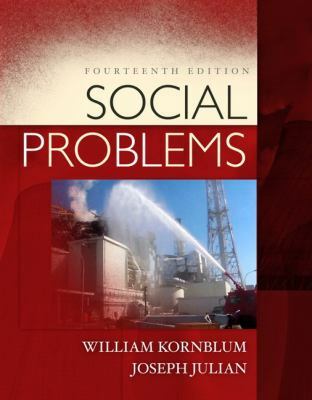 Kornblum, William is the author of 'Social Problems', published 2011 under ISBN 9780205832323 and ISBN 0205832326. Loading marketplace prices 140 copies from $7.75 How does the rental process work?